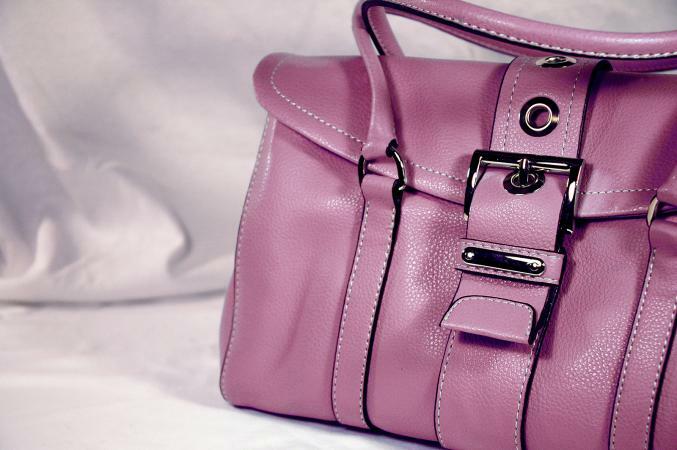 Learning how to spot a fake Coach purse can be difficult if you are not familiar with what to look. Your best defense against fakes is to research the product and become educated on its qualities. More and more replicas are looking much like the real thing, making it hard to tell the difference between what's fake and what's real, armed with a little information you can more accurately tell the difference. Coach uses signature Cs in their design. Fakes often use Gs or Os. Coach Cs are always in pairs and they are facing each other. The Cs also need to line up - according to The Budget Fashionista that is one of top questions to ask when looking at authenticity. Don't trust a bag that has singular Cs. Coach introduces new colors often. Check their website to see if the bag in question is online. Most of their styles are on the site, so if there is a style that you can't find, then it may be a fake purse. The materials and workmanship are extremely important to a quality, authentic Coach purse. The hardware used on a bag is heavy and done either in silver or brass. They never use plastic or plated metal. Coach leather is buttery-soft and feels high-quality. Fakes are often done in pleather or plastic. The dust bag might be a giveaway. Coach classically use a chocolate brown dust bag with red stitching and a red drawstring. The bottom right will feature the logo in white. However, when purchasing an accessory, Coach tends to use white dustbags with the logo situated in the bottom right hand corner in red. Coach makes sure that all their stitching is done perfectly. They do not use cheap thread, or sloppy stitches, and there shouldn't be unfinished stitches either. 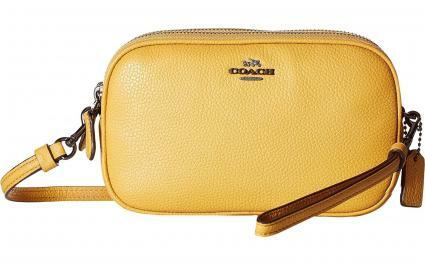 Bag Vanity states that uneven or poor stitching is a dead giveaway of a fake Coach product. Since the 1970s, each authentic Coach bag has a creed which consists of a leather square panel. This creed contains a style number, as well as unique serial number. It's perfectly centered, always stitched onto the bag, and never glued on. The creed itself provides details of the origin of the bag and how it has been manufactured. Sometimes fake Coach bags contain a creed with an abundance of typos or spelling mistakes. 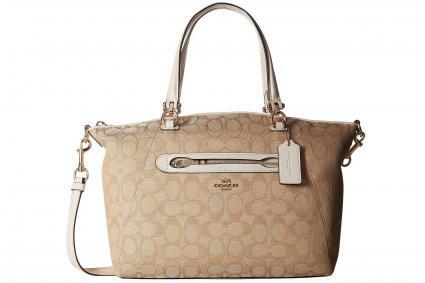 The serial number is stamped into the fabric of the creed of an authentic Coach bag. If the bag is fake, it might contain a serial number that has been inked on. In recent bags, the style and productions codes have been attached separately from the creed. These are seen on a small white tag often sewn inside a pocket. Also be aware of the price of a bag. Most Coach purses cost around $300. If one is selling for much less, then you have good reason to be suspicious. There are a few Coach bags that are replicated time and time again by knockoff sellers. Here's an outline of some common styles and how you can tell if the bag in question is fake or real. Coach prides themselves on their high quality craftmanship and the ability to produce near-perfect bags. You tend to spot a fake Coach monogram print from a mile off as it looks imperfect even from a distance. As mentioned previously, Coach Cs are always in pairs facing each other. Check the seams of the bag in question. If the Cs aren't lining up or are cut off in any way, it's a fake. The pattern must always look neat, align organically, and be symmetrical. A lot of Coach purses nowadays contain the full designer logo, which consists of a man holding a whip on a carriage being pulled by two horses, the name "Coach" in capital letters, and the words "New York" or "Est. 1941" underneath the name. As this is such a detailed logo, if any elements of the logo are missing, then you know the purse is fake. Also, Coach has a signature font with a pointy capital "A". You can tell if the bag is real just by analyzing the font. The duffle bag is one of the most iconic Coach purses of all time. 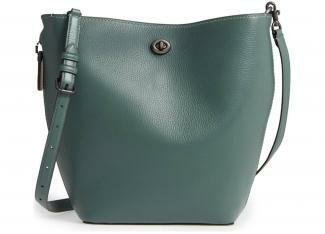 One of the most recent variations of the bag has a turnlock fastening. The shape of the hardware should be paid attention to, as it can contain some very obvious differences. For instance, authentic Coach turnlocks have a wider outer circle, but the lock itself is quite thin in comparison. Furthermore, a lot of fakes mistakenly put the name "Coach" on the bag's turnlock, even though the real deal doesn't have this as a style feature. They don't have individual distributors or make their purses available through house parties. Also, Coach doesn't authorize street vendors or flea market stands to sell their products. Coach was founded in 1941 and continues to be a quality-manufacturer of leather goods. Coach maintains the highest standards for materials and workmanship. They not only offer superior products, but they also pride themselves on their outstanding customer service, so it's easy to see why so many women love the bags. When shopping for a Coach bag, the trick is to know your product before purchasing a purse. Be familiar with the Coach line and go visit a store in person to feel what an authentic purse feels like. Touch the leather and be aware of the purse's weight. Once you know what to look for in a bag, you will be able to feel what a real bag is like compared to what a fake would feel like. Essentially, if it seems like the deal is too good to be true, then it probably is.